Alone. Abandoned. Threatened. Natalie has lost all hope for a better future. Everything she’s known and everyone she’s ever loved is gone, and it’s up to her to get her old life back. 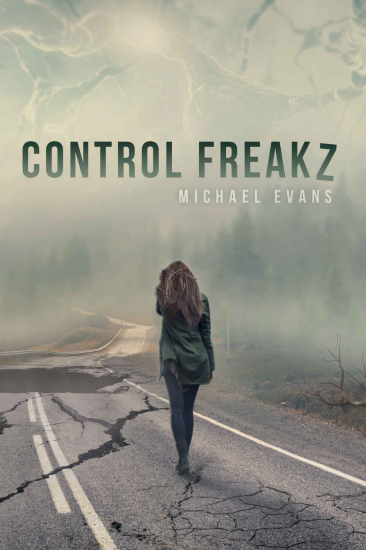 In Michael Evans’s first novel, Control Freakz, Natalie’s journey toward a better life begins. When Protocol 00 is enacted, Natalie’s family is taken by the government, along with the families of her two best friends, Ethan and Hunter. With nothing to lose, and the threat of government hitmen kidnapping them at any moment, the three must battle to survive in a horrid, post-apocalyptic world run by President Ash and his invasive government. They want answers. And they’re willing to jeopardize everything in desperate pursuit. Risking ruthless leaders, attempted mind control, and her very existence on the planet, Natalie, along with Hunter and Ethan, will stop at nothing in their quest to regain everything they’ve ever known. Her spirits crushed and her will to live destroyed, Natalie knows everything is dead and gone, and soon she will be, too. Memories connect us to the past, and can often cause us to long for a better future, but they can drive our minds into a state of hell if a better future is unattainable. Nevertheless, Natalie’s hope for a better a future remains. Source: I received a free copy of this book with the option of leaving an honest review. 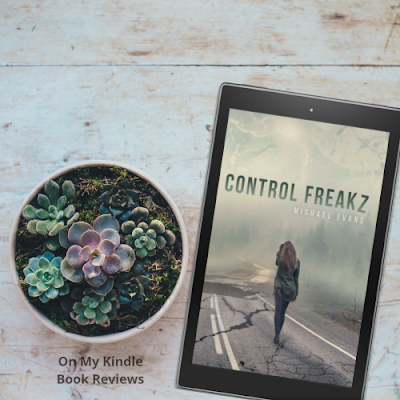 Set in Arizona, Control Freakz explores the possibility that a drug developed to end mental illness could be used for a more sinister purpose. I was really excited about the potential this book has: a great premise, a realistic dystopian setting that parallels current events, and an awesome protagonist, Natalie, who could really draw an emotional reaction from readers! The setting was everything I hoped it would be, it was incredibly detailed and it set the tone of the plot. There were a couple of elements in the book that bothered me. First, it is categorized as "young adult" and I feel the language is a bit mature for younger readers who are also a part of the "young adult" demographic. Second, I felt that the author put so much attention into the setting and the protagonist's inner turmoil, the other characters' personalities suffered and the forward momentum of the plot just came to a halt after the first chapter. The two boys who joined Natalie on her dystopian adventure, Hunter and Ethan, lacked a certain depth. I kept waiting for more to be revealed about them, beyond Ethan's angry at the world temperament and Hunter's even-tempered, "jock" personality; however, the plot focused on Natalie and her inner dialogue. In my opinion, if the author would have fleshed out the characters' backstories, it would have negated the need to share Natalie's very long inner dialogue; a dialogue that keeps the plot from moving forward until 80-percent of the way through the book. The lack of forward momentum in the plot made it hard for me to read, and it took me a full week to finish it. A good first effort from a younger author with extensive vocabulary skills and better-than-expected editing. There is a ton of potential in the plot and the protagonists, it just needs to be realized. I hope the author continues to hone his craft and I'm excited to see the result of his efforts in the future! Michael Evans, author of Control Freakz. Michael Evans is an author of Young Adult novels and an advocate for a better future. He is currently attending high school in Mt. 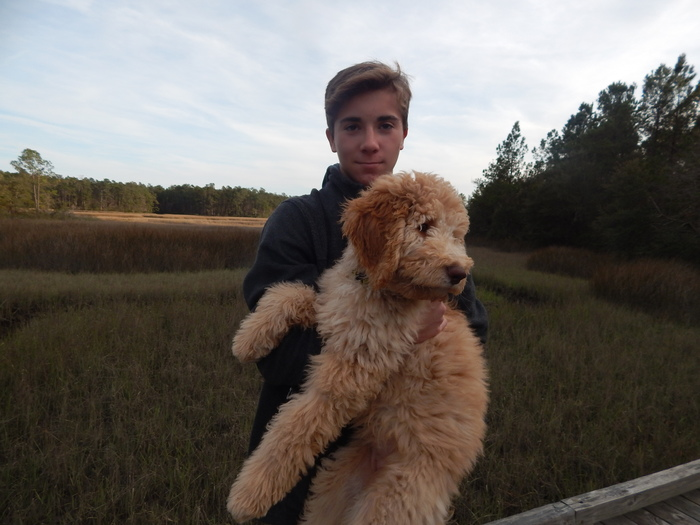 Pleasant, SC, and loves to enjoy the outdoors and write in his free time. To find more about him and his work you can visit http://mevansinked.com.